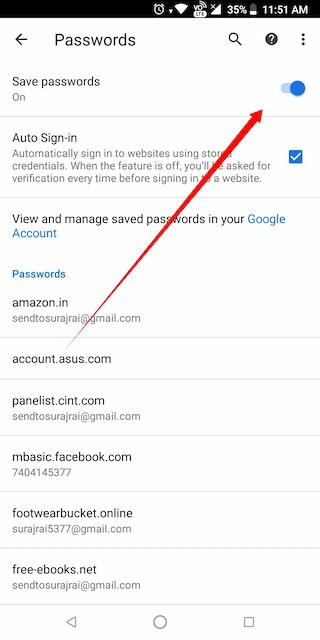 You may have signed up on various web portals and every time you go to sign in, you have to enter username and password manually each and every time. By default, Chrome Browser gives you a pop-up to save the entered username and password. But, if it is not popping up then there may be a various reason, might be an update issue, settings change issue etc. 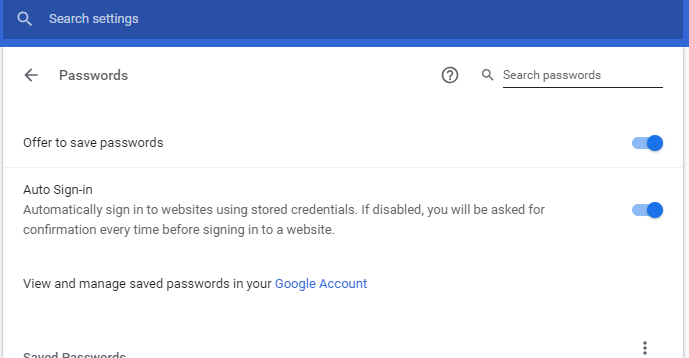 If you have saved the username and password on your Browser, then it makes your work easier as you also don’t need to remember all the username and passwords. So, let’s know how to fix Chrome Browser settings when it doesn’t ask to save the password? Step 1. 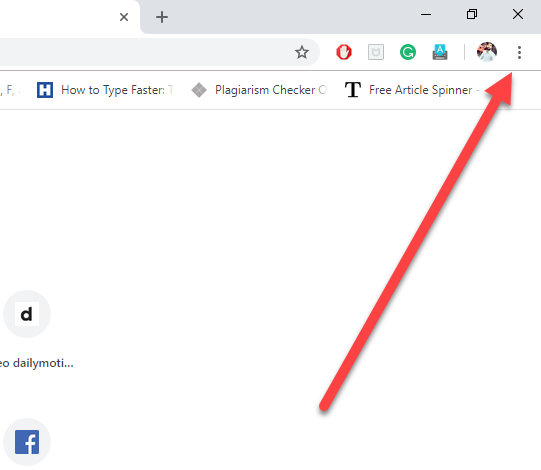 First, open a new tab within chrome browser and type chrome: //setting/passwords into the URL bar and hit enter button. On the top of the window, check for toggle and make sure its password saving mode is “ON”. Step 2. 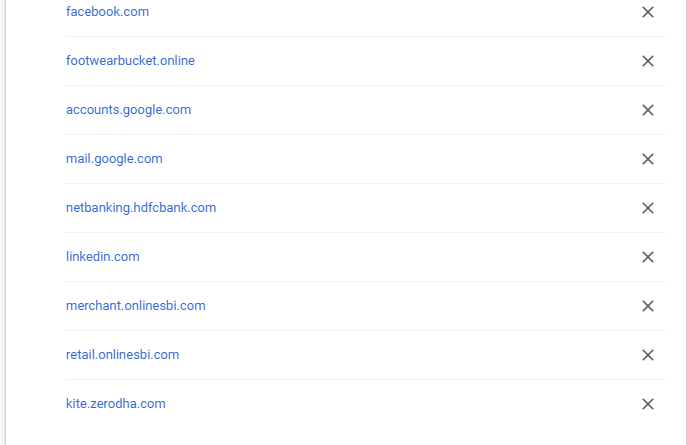 After launching a new tab, just scroll down the screen past all the saved passwords until you get to the never saved section. Make sure that if a site doesn’t prompt you to save a password is listed underneath. 3. If you see anyone, just click the * shaped icon and manually fixing a password in chrome can be easily done. Step 1. 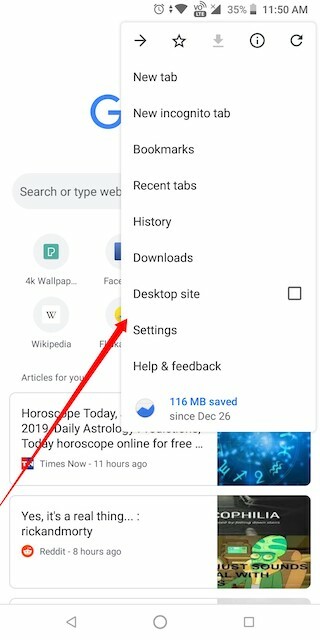 Open the Chrome browser in your phone and tap on settings. Then, tap to save password option. Step 2. Tap saved password and turn it ON. 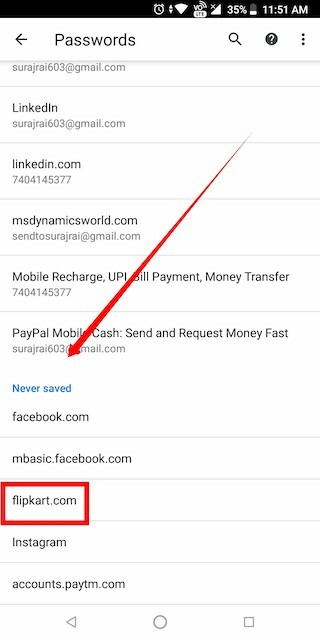 If you notice the save passwords option intact, scroll down the showing list until you see the never saved section. Step 3. Then select sites that you don’t want to be excluded and if you see any, tap the Trash icon. 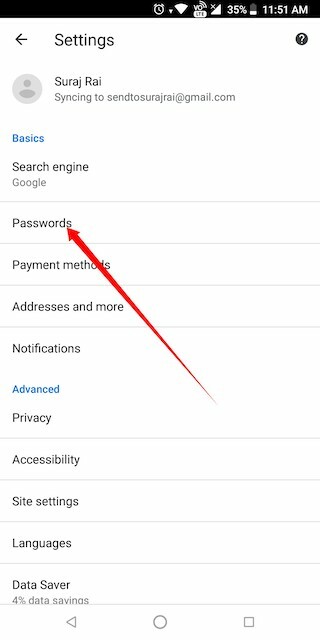 Additional Tip: Even Chrome is not saving the password for you, but you can easily get a key icon on the end of the Address Bar, by simply clicking on it, you can save password manually on your browser.